Ready for bold colors, bright sun and all things Spring? Make your your smile is ready for the change of seasons too. 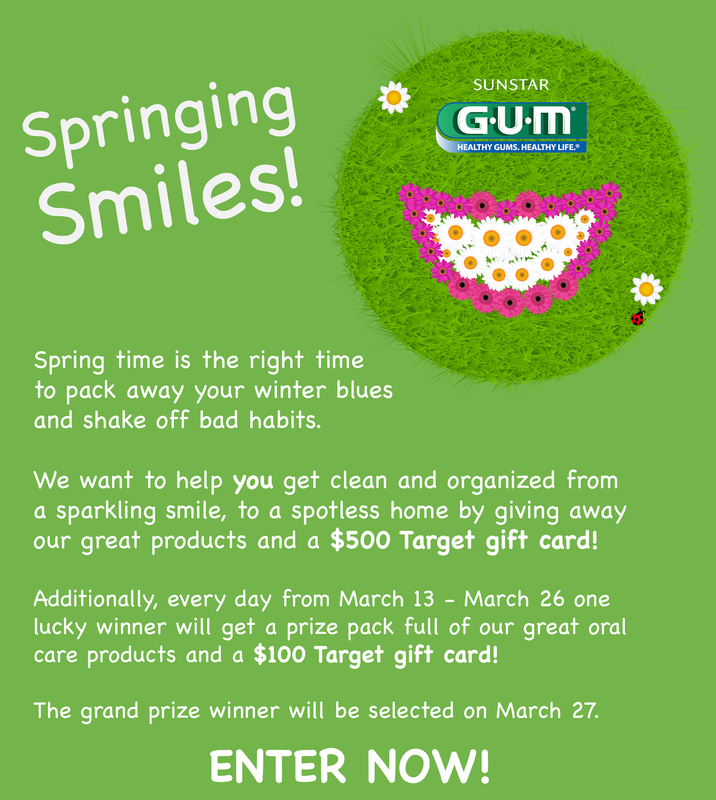 Check out the Springing Smiles GUM Facebook Giveaway. Now through Wednesday, March 26, GUM is giving away prizes to its fans. Here's what you can win. If a contestant gets 5 or more friends to sign up, we will send the contestant a 15 pack of GUM Soft Picks! It is time to get out of the house and show off your bright, healthy smile. Spring into your gorgeous smile with GUM! Disclosure: GUM will be providing a prize package to be given away at a later date. All opinions are my own.